This is the 'cover page' for an expanding web site devoted to presentation of the military history of Russia to include wars, battles, commanders, and rulers. It features extensive illustrations. Many of the articles on battles and wars are at "battles". You may visit our patron. And also to the museum devoted to the career of Suvorov. The contents initially will be divided into sections on military museums, battles, rulers, and great leaders. We have an extensive web site with several hundred photos of exhibits in the great Museum of Artillery, Engineers and Signal troops in St Petersburg. We have just added a long manuscript on the Army of Ivan IVand another on the Muscovite army of the 16th century. The former includes a detailed chronology of Ivan's campaigns and a description of the siege of Kazan. The first battle is the article from 11th edition of Encyclopedia Britannica on the battle of Plevna during the Russo-Turkish war. (see Plevna). And we have the article on the Russo-Turkish war. We also have the encyclopedia article on the Russo-Japanese war. The 1812 campaign in Russia is at Borodino. Other battles are Bortenovo, Kulikovo, Kletsh, and we are starting on the Great Northern War. Tables showing wars between Russia and many opponents are at ruswar. The text of A. W. Kinglake's narrative of the battle of the Alma in the Crimean War is also on line with maps and illustrations. Extensive material on the Crimean (Great Eastern) War including Sevastopol, Balaklava, Alma and Inkerman is on line at Crimea. For material on Russian fortresses please go to fortress. 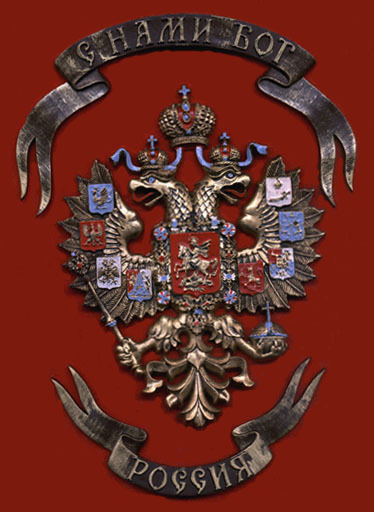 Material including illustrations on medieval Russian arms and armor is at armor. And we have an extensive section on the history of art and architecture in Russia. For more material on the history of Russia and Ukraine please go to Xenophon home page.Please send questions and comments to Xenophon. Or please take a minute to leave a note in our guestbook.